Alfred W. Dunham, 96, of Washington passed away Tuesday, November 27, 2018 at Aperion Care Morton Terrace in Morton, IL. He was born August 1, 1922 in New Salem, IL the son of Carl N. and Helen M. Brown Dunham. He married Patricia Knowles Walters. She passed away on June 20, 1994. He was also preceded in death two daughters Fran Rust and Susan Bond, one brother and four sisters. Surviving are one daughter Margaret McCullough of Palatka, FL. One brother Julius (Kay) Dunham of Washington. Also surviving are two granddaughters, three grandsons along with several nieces, nephews, great nieces, great nephews and extended family. He was a WWII U.S. Army Veteran serving under General George Patton in France. Al worked for Caterpillar Tractor Co. for many years before retiring. Cremation rites have been accorded and a burial of his remains will be at a later date in Hillcrest Memory Gardens in rural Morton. 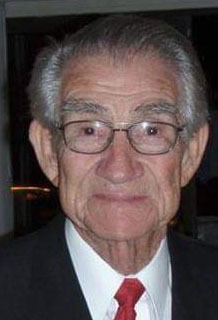 To share a memory or send a condolence to his family, visit www.masonfuneralhomes.com.